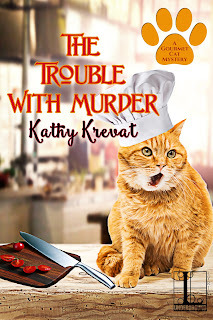 Kathy Krevat is the author of the Gourmet Cat Mystery series and the nationally bestselling Chocolate Covered Mystery series under the name Kathy Aarons. 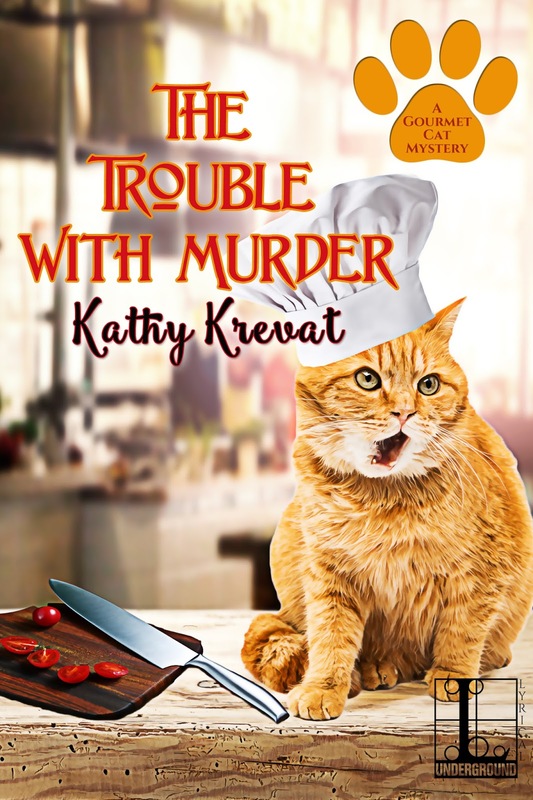 Learn more about Kathy and her books at her website. The holiday season in Southern California means that we can usually entice some friends and relatives to visit and enjoy the sunshine. Even without visitors, the holidays mean lots of get-togethers. One of my favorite recipes for low key dinners and potlucks is the easy quiche recipe below. We’ll be serving them at our annual New Year’s Day Brunch. We make it more of an open house, so that people can stop in once they’ve recovered from their New Year’s Eve parties. This recipe can be modified for more or less vegetables, additions of sausage or other meats, low calorie cheese, and even low carb. The one in the photo is crustless! For this New Year’s Day, I’m going to make this recipe – some with and some without crusts – and one with imitation crab meat and grated Swiss cheese instead of the broccoli and cheddar. It goes very well with mimosas! And as a side benefit, leftover quiche tastes even better the next day! Thaw pie shell, prick bottom with fork and cook at 350 degrees until slightly golden brown, approximately 7 minutes. Cook bacon until crisp and break into little pieces. Sauté onion in margarine or butter until soft. Mix eggs, milk and flour well. Place onions, bacon and vegetables in bottom of pie shell. Add half the cheese. Pour in egg mixture until almost full. Place remaining cheese on top. Cook on a cookie sheet for 35 minutes. Check to see if done by inserting fork in center. If it comes out dry, the quiche is done. If not, keep checking every 15 minutes until done. Meowio Batali Gourmet Cat Food line. Things look promising—until one of the Power Moms is found dead—with an engraved Meowio specialty knife buried in her chest. Thanks for having me visit Lois! Love this recipe and can't wait to try it! Thanks for sharing!! !